Frozen warms the cockles of my heart. “From the creators of Tangled and Wreck-It Ralph” may be stretching the marketing a bit, unless, of course, they mean Walt Disney Animation or that John Lasseter happened to be the Executive Producer. came up with the story for and wrote the screenplay (two different things) AND co-directed Frozen with Chris Buck (Bebe’s Kids, Tarzan, Surf’s Up). With a “Story By” credit, Jennifer won’t have to work again…ever. I’m not trying to drag her down, by the way. 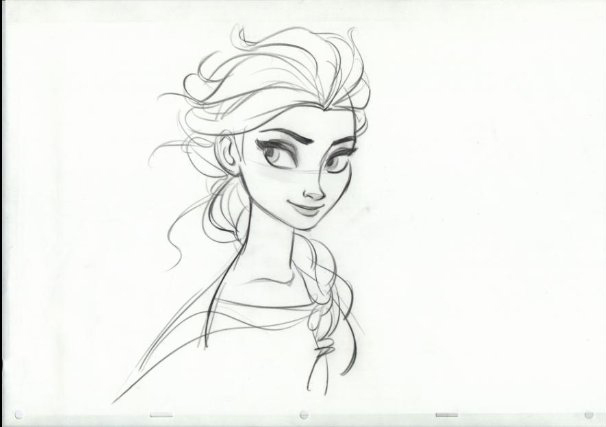 I loved Wreck-It Ralph and I also happened to love Frozen…each for different reasons. 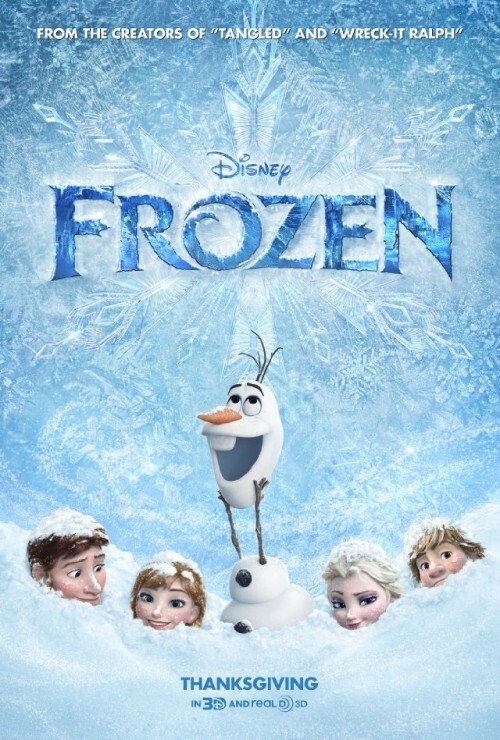 Frozen definitely follows the Disney storytelling paradigm followed by most Hollywood screenwriters these days. The one laid out by Joseph Campbell, Christopher Vogel, Blake Snyder, et al, as the Hero’s Journey. But, just because it follows a structure, doesn’t mean that it can’t be unique within that structure. Jennifer Lee manages to recognize the stories archetypes and twist them just enough so that it keeps us on our toes — especially once we get into Act 3 when everything is going to Hell. Lee keeps the female characters strong (something Brave failed to do somehow) and lets them remain in their positions without denigrating them to a damsel in distress — in fact that stereotype is also acknowledge and flipped. And the male characters, despite some predictability, manage to keep some real character. All of this character development draws us in and gets us to care about and root for them. Something that Wreck-It Ralph also does with great success. To add to the storytelling are the songs. Disney has nearly cornered the market on animated musicals, especially during the Howard Ashman/Alan Menken days (The Little Mermaid, Beauty and the Beast, Aladdin, The Hunchback Of Notre Dame) — with an award winning interlude with Elton John and Tim Rice on The Lion King. Frozen delves into a deeper type of musical than the previous outings, and parallels a more mature tone of musical theater. I feel the songs are more than simply telling the story and moving the characters foward. They are expressing the emotions of the characters, and more importantly, expressing those feelings and conflicts BETWEEN the characters. The songs between Anna’s Kristen Bell (with a surprisingly strong singing voice) and Elsa’s Idina Menzel (Elphaba in Wicked and Maureen in Rent) are powerful, letting us into the characters deeper than straight dialogue would have. The comedy relief through the snowman, Olaf, singing about how great it would be to live in the summer, is a great number as well. Amazing set design that will translate well to Broadway. You just wait. Furthermore, the story does a great job of keeping the audience on a roller coaster, lifting them up with hope and laughter, and then dropping them down into despair — through the entire story. It’s pitch perfect in how dire or happy the situation is. The result is, again, that you are drawn in, and there is never a point where I felt bored, or where I was second guessing. Lastly, the production value, is, of course, off the charts. The animation is superb, balancing nearly Warner Brotheresque snappiness with subtle, more realistic nuance when the emotion of the scene dictates it. Anna’s ebullient and unstoppable energy shows that her animators were probably channeling a young Audrey Hepburn. Lighting and rendering is gorgeous, and FX work flawless with new technology developed just to handle the behavior of the ubiquitous snow. Maintaining the talent of traditional animators despite being in a 3D world. This year is a full year of no less than 19 Feature Animation Oscar submissions, so its going to be tough. But, with Pixar’s only contribution being Monsters University, Frozen could be the one that takes the statue…the statue that should have been taken last year by Wreck-It Ralph rather than Brave.